A. Dagal and A. M. Lam, “Cerebral blood flow and the injured brain: how should we monitor and manipulate it?” Curr. Opin. Anaesthesiol. 24, 131–137 (2011). D. A. Boas and M. A. Franceschini, “Haemoglobin oxygen saturation as a biomarker: the problem and a solution,” Philos. Trans. A Math. Phys. Eng. Sci. 369, 4407–4424 (2011). C. W. Yoxall and A. M. Weindling, “Measurement of cerebral oxygen consumption in the human neonate using near infrared spectroscopy: cerebral oxygen consumption increases with advancing gestational age,” Pediatr. Res. 44, 283–290 (1998). R. L. Grubb, M. E. Raichle, J. O. Eichling, and M. M. Ter-Pogossian, “The effects of changes in PaCO2 on cerebral blood volume, blood flow, and vascular mean transit time,” Stroke 5, 630–639 (1974). M. Jones, J. Berwick, and J. Mayhew, “Changes in blood flow, oxygenation, and volume following extended stimulation of rodent barrel cortex,” Neuroimage 15, 474–487 (2002). M. Dehaes, H. H. Cheng, E. M. Buckley, P.-Y. Lin, S. Ferradal, K. Williams, R. Vyas, K. Hagan, D. Wigmore, E. McDavitt, J. S. Soul, M. A. Franceschini, J. W. Newburger, and P. E. Grant, “Perioperative cerebral hemodynamics and oxygen metabolism in neonates with single-ventricle physiology,” Biomed. Opt. Express 6, 4749–4767 (2015). M. Dehaes, A. Aggarwal, P.-Y. Lin, C. Rosa Fortuno, A. Fenoglio, N. Roche-Labarbe, J. S. Soul, M. A. Franceschini, and P. E. Grant, “Cerebral oxygen metabolism in neonatal hypoxic ischemic encephalopathy during and after therapeutic hypothermia,” J. Cereb. Blood Flow Metab 34, 87–94 (2014). N. Roche-Labarbe, S. A. Carp, A. Surova, M. Patel, D. A. Boas, P. E. Grant, and M. A. Franceschini, “Noninvasive optical measures of CBV, StO(2), CBF index, and rCMRO(2) in human premature neonates’ brains in the first six weeks of life,” Hum. Brain Mapp. 31, 341–352 (2010). T. S. Leung, I. Tachtsidis, M. M. Tisdall, C. Pritchard, M. Smith, and C. E. Elwell, “Estimating a modified Grubb’s exponent in healthy human brains with near infrared spectroscopy and transcranial Doppler,” Physiol. Meas. 30, 1–12 (2009). A. D. Edwards, J. S. Wyatt, C. Richardson, D. T. Delpy, M. Cope, and E. O. Reynolds, “Cotside measurement of cerebral blood flow in ill newborn infants by near infrared spectroscopy,” Lancet 332, 770–771 (1988). J. Patel, K. Marks, I. Roberts, D. Azzopardi, and A. D. Edwards, “Measurement of cerebral blood flow in newborn infants using near infrared spectroscopy with indocyanine green,” Pediatr. Res. 43, 34–39 (1998). D. A. Boas, L. E. Campbell, and A. Yodh, “Scattering and imaging with diffusing temporal field correlations,” Phys. Rev. Lett. 75, 1855–1858 (1995). D. A. Boas and A. G. Yodh, “Spatially varying dynamical properties of turbid media probed with diffusing temporal light correlation,” J. Opt. Soc. Am. A 14, 192–215 (1997). T. Durduran and A. G. Yodh, “Diffuse correlation spectroscopy for non-invasive, micro-vascular cerebral blood flow measurement,” Neuroimage 85, 51–63 (2013). T. Durduran, C. Zhou, E. M. Buckley, M. N. Kim, G. Yu, R. Choe, J. W. Gaynor, T. L. Spray, S. M. Durning, S. E. Mason, L. M. Montenegro, S. C. Nicolson, R. A. Zimmerman, M. E. Putt, J. Wang, J. H. Greenberg, J. A. Detre, A. G. Yodh, and D. J. Licht, “Optical measurement of cerebral hemodynamics and oxygen metabolism in neonates with congenital heart defects,” J. Biomed. Opt. 15, 037004 (2010). G. Yu, T. F. Floyd, T. Durduran, C. Zhou, J. Wang, J. A. Detre, and A. G. Yodh, “Validation of diffuse correlation spectroscopy for muscle blood flow with concurrent arterial spin labeled perfusion MRI,” Opt. Express 15, 1064–1075 (2007). S. A. Carp, G. P. Dai, D. A. Boas, M. A. Franceschini, and Y. R. Kim, “Validation of diffuse correlation spectroscopy measurements of rodent cerebral blood flow with simultaneous arterial spin labeling MRI; towards MRI-optical continuous cerebral metabolic monitoring,” Biomed. Opt. Express 1, 553–565 (2010). C. Zhou, S. A. Eucker, T. Durduran, G. Yu, J. Ralston, S. H. Friess, R. N. Ichord, S. S. Margulies, and A. G. Yodh, “Diffuse optical monitoring of hemodynamic changes in piglet brain with closed head injury,” J. Biomed. Opt. 14, 034015 (2009). M. Diop, K. Verdecchia, T.-Y. Lee, and K. St Lawrence, “Calibration of diffuse correlation spectroscopy with a time-resolved near-infrared technique to yield absolute cerebral blood flow measurements,” Biomed. Opt. Express 2, 2068–2081 (2011). V. Jain, E. M. Buckley, D. J. Licht, J. M. Lynch, P. J. Schwab, M. Y. Naim, N. A. Lavin, S. C. Nicolson, L. M. Montenegro, A. G. Yodh, and F. W. Wehrli, “Cerebral oxygen metabolism in neonates with congenital heart disease quantified by MRI and optics,” J. Cereb. Blood Flow Metab 34, 380–388 (2014). R. C. Mesquita, T. Durduran, G. Yu, E. M. Buckley, M. N. Kim, C. Zhou, R. Choe, U. Sunar, and A. G. Yodh, “Direct measurement of tissue blood flow and metabolism with diffuse optics,” Philos. Trans. A Math. Phys. Eng. Sci. 369, 4390–4406 (2011). J. Selb, D. A. Boas, S.-T. Chan, K. C. Evans, E. M. Buckley, and S. A. Carp, “Sensitivity of near-infrared spectroscopy and diffuse correlation spectroscopy to brain hemodynamics: simulations and experimental findings during hypercapnia,” Neurophotonics 1, 015005 (2014). R. C. Mesquita, S. S. Schenkel, D. L. Minkoff, X. Lu, C. G. Favilla, P. M. Vora, D. R. Busch, M. Chandra, J. H. Greenberg, J. A. Detre, and A. G. Yodh, “Influence of probe pressure on the diffuse correlation spectroscopy blood flow signal: extra-cerebral contributions,” Biomed. Opt. Express 4, 978–994 (2013). D. Irwin, L. Dong, Y. Shang, R. Cheng, M. Kudrimoti, S. D. Stevens, and G. Yu, “Influences of tissue absorption and scattering on diffuse correlation spectroscopy blood flow measurements,” Biomed. Opt. Express 2, 1969–1985 (2011). S. J. Matcher, M. Cope, and D. T. Delpy, “In vivo measurements of the wavelength dependence of tissue-scattering coefficients between 760 and 900 nm measured with time-resolved spectroscopy,” Appl. Opt. 36, 386–396 (1997). A. Torricelli, A. Pifferi, P. Taroni, E. Giambattistelli, and R. Cubeddu, “In vivo optical characterization of human tissues from 610 to 1010 nm by time-resolved reflectance spectroscopy,” Phys. Med. Biol. 46, 2227–2237 (2001). S. Ijichi, T. Kusaka, K. Isobe, K. Okubo, K. Kawada, M. Namba, H. Okada, T. Nishida, T. Imai, and S. Itoh, “Developmental changes of optical properties in neonates determined by near-infrared time-resolved spectroscopy,” Pediatr. Res. 58, 568–573 (2005). A. Pifferi, A. Torricelli, L. Spinelli, D. Contini, R. Cubeddu, F. Martelli, G. Zaccanti, A. Tosi, A. Dalla Mora, F. Zappa, and S. Cova, “Time-resolved diffuse reflectance using small source-detector separation and fast single-photon gating,” Phys. Rev. Lett. 100, 138101 (2008). J. Selb, D. K. Joseph, and D. A. Boas, “Time-gated optical system for depth-resolved functional brain imaging,” J. Biomed. Opt. 11, 044008 (2006). J. Selb, J. J. Stott, M. A. Franceschini, A. G. Sorensen, and D. A. Boas, “Improved sensitivity to cerebral hemodynamics during brain activation with a time-gated optical system: analytical model and experimental validation,” J. Biomed. Opt. 10, 11013 (2005). U. M. Weigel, B. Andresen, and V. Chamizo, “The BabyLux project-an optical neuro-monitor of cerebral oxygen metabolism and blood flow for neonatology,” in Cancer Imaging and Therapy, Fort Lauderdale, Florida, April25–28, 2016. M. Poelker, “High power gain‐switched diode laser master oscillator and amplifier,” Appl. Phys. Lett. 67, 2762–2764 (1995). J. C. B. Kangara, A. J. Hachtel, M. C. Gillette, J. T. Barkeloo, E. R. Clements, S. Bali, B. E. Unks, N. A. Proite, D. D. Yavuz, P. J. Martin, J. J. Thorn, and D. A. Steck, “Design and construction of cost-effective tapered amplifier systems for laser cooling and trapping experiments,” Am. J. Physiol. 82, 805–817 (2014). A. Giudice, G. Simmerle, D. Veronese, R. Biasi, A. Gulinatti, I. Rech, M. Ghioni, and P. Maccagnani, “High-detection efficiency and picosecond timing compact detector modules with red-enhanced SPADs,” Proc. 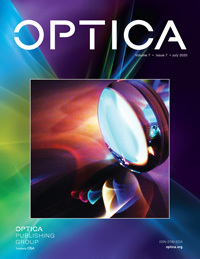 SPIE 8375, 83750P (2012). A. Gulinatti, I. Rech, F. Panzeri, C. Cammi, P. Maccagnani, M. Ghioni, and S. Cova, “New silicon SPAD technology for enhanced red-sensitivity, high-resolution timing and system integration,” J. Mod. Opt. 59, 1489–1499 (2012). D. Tamborini, D. Portaluppi, F. Villa, S. Tisa, and A. Tosi, “Multichannel low power time-to-digital converter card with 21 ps precision and full scale range up to 10 μs,” Rev. Sci. Instrum. 85, 114703 (2014). C. Eggeling, S. Berger, L. Brand, J. R. Fries, J. Schaffer, A. Volkmer, and C. A. Seidel, “Data registration and selective single-molecule analysis using multi-parameter fluorescence detection,” J. Biotechnol. 86, 163–180 (2001). M. Böhmer, M. Wahl, H. J. Rahn, and R. Erdmann, “Time-resolved fluorescence correlation spectroscopy,” Chem. Phys. Lett. 353, 439–445 (2002). G. Maret and P. E. Wolf, “Multiple light scattering from disordered media: the effect of Brownian motion of scatterers,” Zeitschrift für Physik B Condens. Matter 65, 409–413 (1987). D. Pine, D. Weitz, P. Chaikin, and E. Herbolzheimer, “Diffusing wave spectroscopy,” Phys. Rev. Lett. 60, 1134–1137 (1988). A. Yodh, P. Kaplan, and D. Pine, “Pulsed diffusing-wave spectroscopy: high resolution through nonlinear optical gating,” Physical Rev. B 42, 4744–4747 (1990). D. Contini, A. Torricelli, A. Pifferi, L. Spinelli, F. Paglia, and R. Cubeddu, “Multi-channel time-resolved system for functional near infrared spectroscopy,” Opt. Express 14, 5418–5432 (2006). A. Tosi, A. Dalla Mora, F. Zappa, A. Gulinatti, D. Contini, A. Pifferi, L. Spinelli, A. Torricelli, and R. Cubeddu, “Fast-gated single-photon counting technique widens dynamic range and speeds up acquisition time in time-resolved measurements,” Opt. Express 19, 10735–10746 (2011). T. Bellini, M. Glaser, N. Clark, and V. Degiorgio, “Effects of finite laser coherence in quasielastic multiple scattering,” Phys. Rev. A 44, 5215–5223 (1991). L. Gagnon, M. Desjardins, J. Jehanne-Lacasse, L. Bherer, and F. Lesage, “Investigation of diffuse correlation spectroscopy in multi-layered media including the human head,” Opt. Express 16, 15514–15530 (2008). J. Li, G. Dietsche, D. Iftime, S. E. Skipetrov, G. Maret, T. Elbert, B. Rockstroh, and T. Gisler, “Noninvasive detection of functional brain activity with near-infrared diffusing-wave spectroscopy,” J. Biomed. Opt. 10, 44002 (2005). W. G. Lennox and E. L. Gibbs, “The blood flow in the brain and the leg of man, and the changes induced by alteration of blood gases 1,” J. Clin. Invest. 11, 1155–1177 (1932). D. Borycki, O. Kholiqov, S. P. Chong, and V. J. Srinivasan, “Interferometric Near-Infrared Spectroscopy (iNIRS) for determination of optical and dynamical properties of turbid media,” Opt. Express 24, 329–354 (2016). Fig. 1. Conceptual illustration of time-resolved diffuse correlation spectroscopy. TD-DCS uses trains of long-coherence-length laser pulses to measure both TOFs and path length-dependent autocorrelation functions at the detector for improved determination of blood flow. The figure illustrates two different photon paths (purple and green) in highly scattering media for the light pulse at time t (dashed line) and at time t+τ (solid line). On average, light traveling in more superficial layers (purple paths) has a shorter TOF than light traversing deeper (green paths) into the tissue (time differences on the 10–100 ps time scale). The difference in the paths at t and t+τ is due to the motion of the red blood cells, which causes flow-dependent fluctuations in the detected intensity on the 10–1000 ns timescale. Time-tagging photons’ TOF (ps) and absolute arrival (ns) allows multiple analyses to be performed from the same data stream. In particular, photons can be separated by TOF into those traveling shorter (purple) or longer (green) paths through the tissue, enabling the calculation of the DCS correlation function from photons traveling to different depths in the tissue. Fig. 2. Schematic diagram of the novel TD-DCS device. We modified an 852 nm DBR laser to provide 150 ps pulses. We used an electrically pumped taper diode amplifier to amplify the peak optical power of the laser while maintaining its coherence length. Amplification enables adequate detected photon flux through the tissue. New red-enhanced SPAD detectors are used to detect photons with high sensitivity and time resolution. Custom TDCs are used to determine the TOF for the photons through the tissue. Finally, we built a custom FPGA board to collect the TOF tag from the TDC and merged it with the absolute arrival time used to calculate the correlation functions. Fig. 3. TD-DCS measurements on a diluted milk phantom to demonstrate the β dependence on the time gate width. (a) TPSF with superimposed gates of different widths all starting right before the peak at t=250 ps. The gate labeled CW is 3000 ps wide. (b) Measured path length-dependent normalized intensity temporal autocorrelation functions for the corresponding gates. (c) The correlation amplitude β as a function of the gate width for the corresponding gates. β increases with narrower time gates, as predicted by Bellini . Fig. 4. Linear dependence of the decay rate of g1S on the light path length in a homogeneous turbid phantom. (a) TPSF with superimposed twelve gates of fixed widths (48 ps) starting at different time delays. (b) Measured path length-dependent normalized field autocorrelation functions for the corresponding gates. (c) Slope of the field autocorrelation functions at the 12 gates as a function of the path length (i.e. time delay · speed of light in water). The small gray symbols correspond to g1s slopes for overlapping gates 48 ps wide shifted 12 ps each. The linear fit is done considering all of the slopes, the intercept is to, and the slope is proportional to DB·μs′. The resulting DB is 1.0e−6 mm2/s, in close agreement with the DB measured using a CW-DCS system (0.85e−6 mm2/s). Fig. 5. TD-DCS measures on a rat during two periods of normocapnia (blue and green lines) and hypercapnia (red line). (a) TPSF measured during normocapnia (blue and green) and hypercapnia. The curves are overlapping, suggesting negligible changes in tissue scattering and absorption with hypercapnia (red). The shaded areas span the range of the 37 gates 48 ps wide shifted 12 ps each. The gray shaded area indicates the gate at the border between the early (light blue) and late (pink) gates. (b) Slope of the field autocorrelation functions for the 37 gates as a function of the path length during normocapnia (blue and green symbols) and hypercapnia (red symbols). The open circles correspond to the 13 early gates; the closed circles correspond to the 24 late gates. The decay rate is much higher for late gates, and assuming a constant scattering coefficient across tissue layers, by using Eq. (2), we find the BF is three times higher in the brain than in the scalp and skull. When comparing the normocapnia and hypercapnia periods, the decay rate for early gates does not change significantly; instead, the decay rate for late gates increases with hypercapnia.